Today I would like to discuss the installation of the hot tub and how it will affect your home’s electrical system. Just recently, I was called to a house in Ford’s Colony in Williamsburg Virginia for an estimate to install a hot tub. Upon my arrival at the property, I started to ask a few questions of the homeowner and quickly realized that she did not fully understand what was required from the local authority, in order for her to successfully install a hot tub. Hot tubs should always be installed by a licensed electrician and should always have a permit from the local authority to ensure correct installation. As well as the electrical permit, a building permit is required for the installation especially if it is to sit on some kind of structure i.e. a deck or raised engineered floor. This involves having drawings made up and signed by an engineer. The engineer will calculate the correct size of lumber that will be able to support the weight of the hot tub. Unfortunately my customer in Ford’s Colony had had her son build a very low level deck for the hot tub. Regrettably, I was not able to proceed with her job, as I said I would only do it with an electrical permit. When the James City County inspector came to view the work and certify it had been done correctly, they would not pass it as there was no building permit for the job. 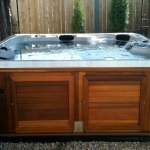 Hot tubs require quite a heavy electrical supply to run them, usually between 30 and 50 Amps. For most homes built within the last 30 years, the panel board and existing electrical are able to deal with this kind of demand. However, older homes may only have a 100 or 150 Amp service to the electrical panel, in which case the homeowner would be required by the electrician to have a new panel installed, in addition to the cost of the hot tub installation. There are also stringent safety codes that must be followed when installing a hot tub into a residential backyard. This is because of the increased electrical shock hazard that we encounter when we mix water and electricity together. Any metal framework that may be exposed i.e. hand railings for steps, or a stairwell from a deck, if it is metal and within 5 feet of the hot tub, it must be properly bonded. So as you can see, the installation of a hot tub may sound like a simple procedure, but in reality it takes a lot more time and effective decision-making to have this process carried out properly. British American Electric of Williamsburg, Virginia encourages you to call us at 757-707-0645 for free advice about this procedure. You can quickly get yourself into trouble as an uninformed homeowner. We would be happy to send a licensed electrician to your home and carry out a free estimate. 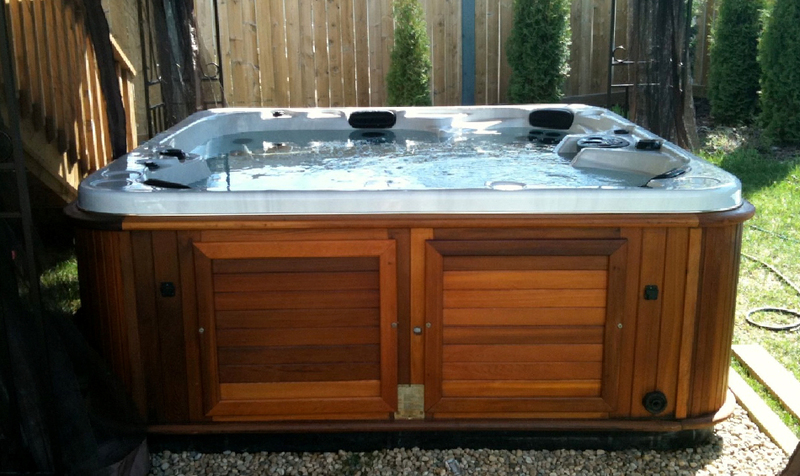 We can advise you the safest and most cost-effective way to install your wonderful new hot tub. Please don’t be fooled by the company that is selling the hot tub because they are merely interested in the sale, and unless you engage them to install the hot tub, they will not be worried about permits and how you go about this.